The Erlangen Reclining Living Room Group by Signature Design by Ashley at Furniture and ApplianceMart in the Stevens Point, Rhinelander, Wausau, Green Bay, Wisconsin Rapids, Marshfield, East and West Madison, Wisconsin area. Product availability may vary. Contact us for the most current availability on this product. Leg or Skirt Features metal drop-in unitized seat box for strength and durability. Recliner Mechanism The power reclining mechanism features infinite positions for comfort and a USB charging port in the control. In addition, the style features a power adjustable head rest. 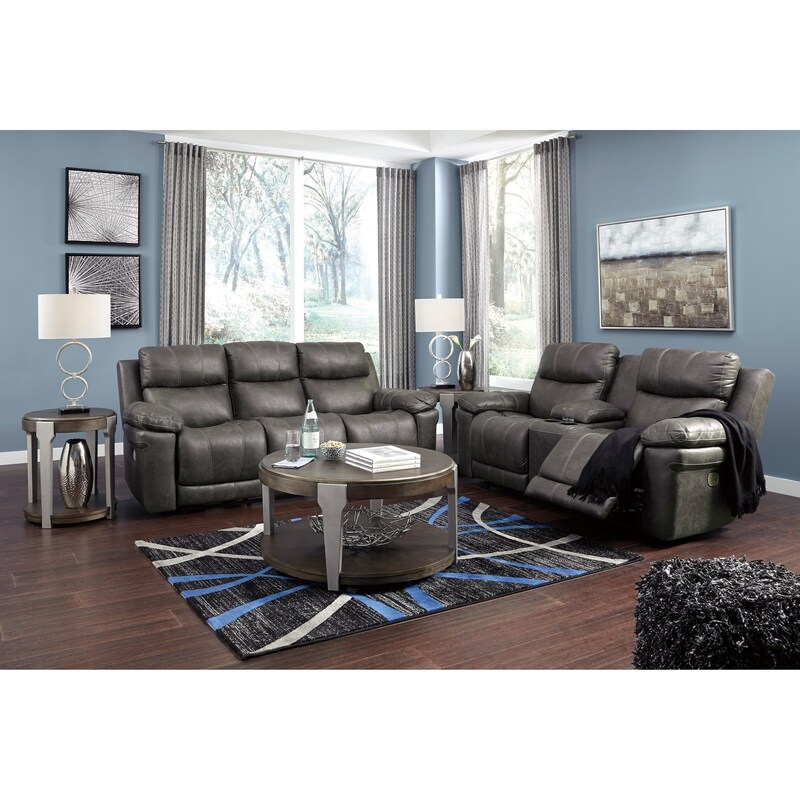 Enjoy the conveniences of plush comfort and upgraded motion technology with this living room collection, which features power adjustable headrests and power reclining mechanisms equipped with USB ports. The Erlangen collection is a great option if you are looking for Casual furniture in the Stevens Point, Rhinelander, Wausau, Green Bay, Wisconsin Rapids, Marshfield, East and West Madison, Wisconsin area. Browse other items in the Erlangen collection from Furniture and ApplianceMart in the Stevens Point, Rhinelander, Wausau, Green Bay, Wisconsin Rapids, Marshfield, East and West Madison, Wisconsin area.